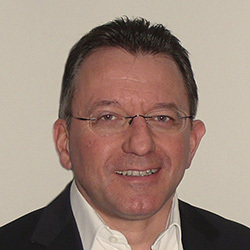 Michel Baronnier is the CEO and founder of the French integrator TMM Communication. The company launched in 1992 to offer digital-out-of-home solutions and all related services in consulting, design, content and innovation. TMM’s teams are 100% dedicated to this market with an agnostic approach and recognised expertise. With more than 37,000 screens deployed to date, TMM is primarily aimed at major national and international accounts to provide a digital experience for internal staff, customers, visitors and public audiences. Today, more than 100 big brands rely on TMM teams with installations deployed and maintained in more than 15 countries. In 2005, Baronnier initiated the French association, Club du Digital Media, which has more than 50 members. As Vice-President, Baronnier is in charge of developing relationships with other French and international associations.